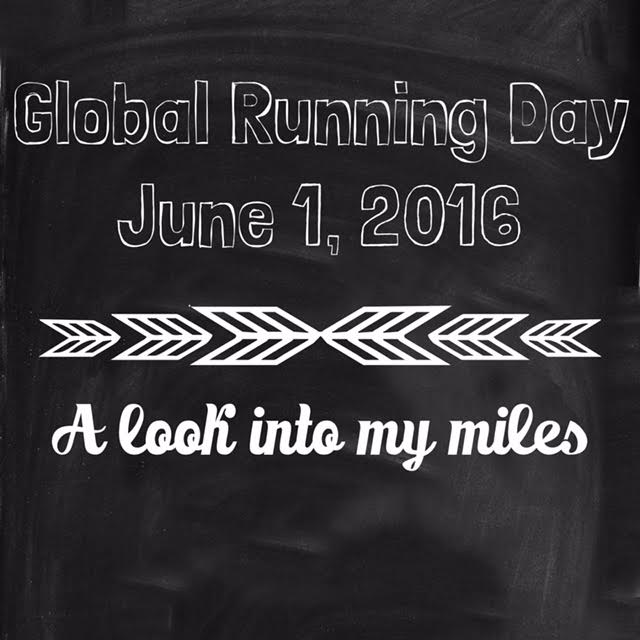 In celebration of Global Running Day, I decided to join a link up hosted by Kristen over at at Jonesin for a Run to share a little bit about my running background. This is a tough question (and my answer probably depends on the day). I run because it makes me happy. It makes me feel strong. It allows me to set goals and provides me with an outlet for my anxiety. It allows me to eat an extra bowl of ice cream. 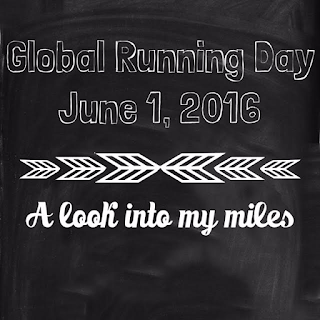 I plan on celebrating National Running Day by running, of course! I ran 7.5 miles this morning (half of which was in the rain). I decided to do something a little different today – I ran the first half of the run with my iPod and decided to ditch the music about half way through. Even though it was muggy, I’m so happy it’s finally shorts weather! 3. How many miles have you run so far this year? Do you have a mileage goal for the year? I have run approximately 700 miles YTD (no mileage goals for me this year!) Since finding out I was pregnant in early March (and taking a month off around the same time) my only goal for the year is to stay healthy for the baby! As far as running, I hope to run through my pregnancy for as long as my body allows. Currently I am running six days a week. I have started tracking my runs and setting my goals by minutes rather than miles (and calculating mileage only after the run). None! I may sign up for some races this summer just to change things up – but absolutely no goal race for me! My watch, iPod, and a since becoming pregnant, my handheld water bottle. 6. Do you track your runs? If so what do you use? I have tried just about every app there is and still find myself most satisfied with a Microsoft Excel spreadsheet. It depends on my mood and the purpose of the run. Unfortunately, since moving out of the city most of my runs are solo (many of my training buddies live an hour or more away). I should branch out and find a new group but I allow myself to get intimidated easily and haven’t ventured up the courage to start over closer to home. 8. What races have you run so far this year? 9. If you have to give someone one piece of advice about running, what would it be? Oh gosh, there are so many things! For new runners, I would advise that if someone thinks they “hate running” they are probably running too fast. For more seasoned runners, I would suggest trying to “unplug” once in a while (i.e. no phone or GPS watch). This is new for me but has been surprisingly liberating and really helped me to appreciate running in a whole new way.